Michael Hotten has been a journalist sine the late '80s. He started in radio. His field reporting has included coverage of Somalia’s humanitarian crisis in 1993, the Princess Diana tragedy, the Loma Prieta and Northridge earthquakes and the O.J. Simpson case. He has even witnessed an execution. He later served as the Assistant News Director and Assignment Editor at the #1 talk radio station in Los Angeles. To clear the news pollution from his mind, Michael turned to his passions and print reporting. In the ’90s, Michael played and wrote about golf for a Los Angeles based golf monthly. He also co-hosted a golf radio show. Golf gave way to cycling and riding progressed to racing. Michael has competed in road, track, mountain, gravel and ‘cross events. He is a Cat. II on the road but mostly races masters. He has completed the Leadville Trail 100 Mountain Bike race four times. He also helps teammates and his wife prepare for and complete races and centuries. 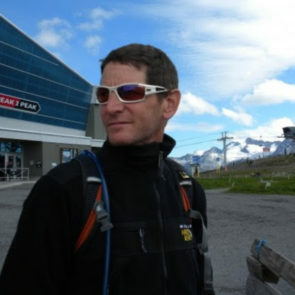 Michael writes about cycling for various outlets and is the host of a cycling focused podcast. He is based in the Los Angeles area. Great freestylers know that technique counts just as much as power and strength when swimming. Learn how to improve your freestyle stroke with these tips. These swim workouts will help you optimize your time in the water regardless of whether you’re a beginner or a seasoned competitor.